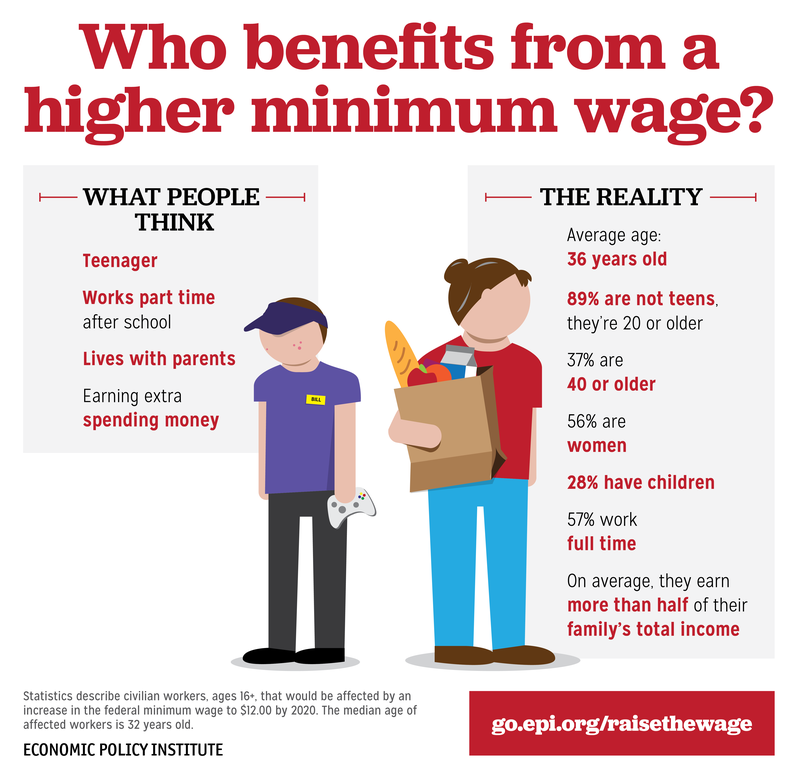 4 Responses to Should the minimum wage be lowered? I agree with your summary as far as it goes, but you missed one of the main reasons we need a minimum *living* wage. Without the “living” part, wages literally can’t provide an existence. This means the extra money to live must come from somewhere else. It might come from another family member, in which case that’s money that can’t be spent by that other person for that person’s direct needs; another words, it’s a drain on the economy in aggregate. Very likely, it comes from some sort of government benefit – the sort of “handouts” conservatives are supposed to loath. But before conservatives howl “let’s cut government handouts too!” they should also realize that this cost would then have to be passed back to the employer, where it belongs. But it is currently the employer who is the secondary beneficiary of government benefits to employees. That includes some of the richest employers in the world: Walmart used to give classes to its employees on how to get more government benefits. McDonald’s infamously created a sample budget for its employees living on minimum wage to show it could be done…but then left out costs for heating one’s home (and probably some other necessities, including healthcare, which blows up the finances of even middle class employees). 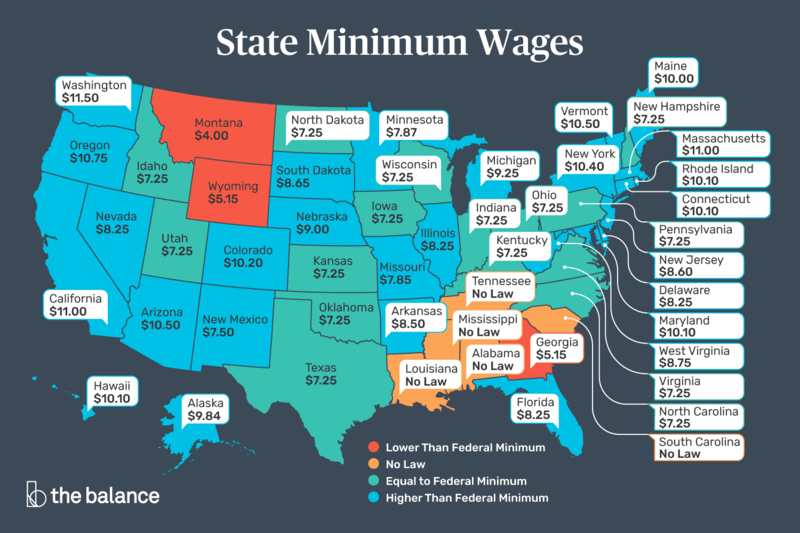 So, setting a minimum wage gets government out of the business of subsidizing businesses for paying a non-living wage. It is a much more market-oriented, anit-socialist policy than having no/or inadequate minimum wages and letting government make up the difference in a sort of back-door control of the means of production that conservatives are supposed to hate. Bernie Sanders has a bill in the Senate now to tax businesses that don’t pay $15/hour, whatever the difference is in their wages, to pay for government benefits to employees, so that businesses will pay one way or another. Conservatives ought to love that bill too. The Ten Steps to Prosperity would make minimum wage laws much less necessary. What if I am young, or wanting to enter a different field, or have retired and what to try something new? Let’s say I don’t have the experience, but I’m willing to learn? Let’s say I’ll even work for nothing or next to nothing just so I can garner the experience and training, perhaps one day opening a similar business? I go to a business, perhaps in cabinet making, and ask to work. Let’s say, if they have to pay minimum wages, they can’t hire me or for more hours. That takes my opportunities away. They can hire you as an apprentice.